What better than marinade to give meat or fish with incomparable flavour. Marinades are ideal for barbecues and you can experiment with all kinds of sweet, spicy and exotic flavours. Create the marinade you want for your meal with whatever you have in the back of your cupboards. Marinades are traditionally made with olive oil which has lots of flavour and is perfect for cooking. But you can also use other oils (such as sesame) or replace oil with another liquid such as soy sauce, red or white wine, vinegar, yoghurt, honey, lemon or orange juice, or a mixture. As long as you have enough liquid to soak your meat in, it's fine. Use at least 250ml (1 cup) of marinade per kilo of meat. What should you put in a marinade? For a very simple marinade, mix aromatic herbs with olive oil and maybe add some mustard, shallots, garlic, pepper etc. Vegetables such as carrots, tomatoes and celery cut into little pieces or round slices also flavour marinade a treat, and bay leaves add flavour. 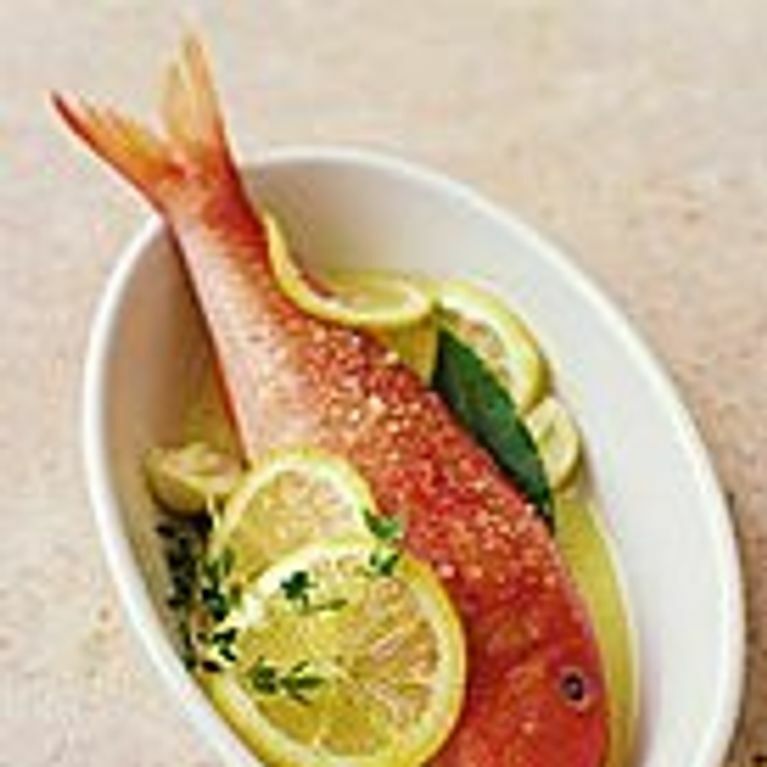 Lemon juice is the perfect accompaniment to fish. How long should you marinate meat for? The longer you leave your meat to marinate the more it will absorb the flavours of the marinade. You could leave it to marinate for several days (if you use Indian spices, for example), all night, or just for a few hours, depending on what you're making. Always marinate food for at least one hour, the minimum time required for the meat to absorb the marinade. If your marinade contains lemon juice, you cannot let it marinate fish for too long as lemon juice ‘cooks’ fish to a certain extent. Use one Espelette chilli per 100ml of oil, or a teaspoon of powdered chilli, add green peppercorns and/or spices (ginger, cumin, paprika). Take care not to overdo your spices! Use coconut milk instead of oil and add spices (curcuma, curry, ginger). Add a little soy sauce, chilli and pepper. Mix either honey and vinegar or honey and mustard, or simply mix sweet and sour flavours. Use honey and/or brown sugar, ketchup, maple syrup or even coca cola (which will sweeten your meat without giving it a fizzy taste). Perfect for spare ribs and chicken. Use soy sauce instead of oil, and add honey or maple syrup. You can also use hoi sin sauce (available in Chinese supermarkets) or barbecue sauce. You can also marinate vegetable and fruit kebabs. Cut your fruit or vegetables in pieces and marinate them raw. For vegetables, use olive oil, spices, condiments etc. For fruit use liquid sugar (honey, maple syrup or sugar cane) mixed with spices (cinnamon, vanilla etc.). You could also add a little rum or liquer such as Grand Marnier. - Use glass, stainless steel or china dishes, but avoid using aluminium for marinades (including your utensils). - You could also place your meat or fish in a plastic freezer bag, pour in the marinade, squeeze out the air and close bag up. Easy! - Use whole spices, which have a lot more flavour than ground spices. - You can also your marinade as a liquid to flavour your meat and fish during cooking. - Watch out for flames if your marinade contains alcohol. Check out our marinade recipes!